According to the latest round of stats, the average price for a house in Toronto is almost $550,000. And by Toronto, I mean any where that has a 416 or 647 area code. In March, prices of houses are up just over 10% from last year. Pretty sweet for people who are selling in this market. Kinda lousy for those who are trying to get in. It's a little nuts considering that we just came out of a giant recession. Condo appreciation is not nearly as much, but they have gone up around 5% since last year on average. And even though there are a lot of them being built, they are also being sold. Much fewer bidding wars than houses, on average, but a healthy market nonetheless. So what gives? Does every one suddenly have more money? It's true that rates are very competitive among the banks, within the last year, but the interest rates have not changed much since 2011. And salaries have not gone up 10% in this city. I do think that rates may have some thing to do with it though. There is a group of buyers out there that really don't want to pay a lot in interest. So, they want to buy now while the interest rates are very low and before they go up and make buying property even more expensive at the same price. Even if they buy high at a low interest rate, they can still lock in for 5 or even 10 years before they may have to pay more at a higher interest rate. As far as I'm concerned, though, it's not the buyer side that is really effecting prices. It's the sellers. There's just not enough of them. And because of that we have very low inventory with houses. I can say first hand that I have not seen many houses hitting the market these days considering it's the Spring. It's a simple equation for price appreciation. More buyers than sellers means more competition for fewer homes and higher prices. So, why aren't the sellers selling? I mean, if prices are up 10%, wouldn't it be a great time to sell! I think so! I guess many of the sellers don't want to sell and become buyers who have to pay land transfer tax and compete for new homes. At least that's what they tell me. 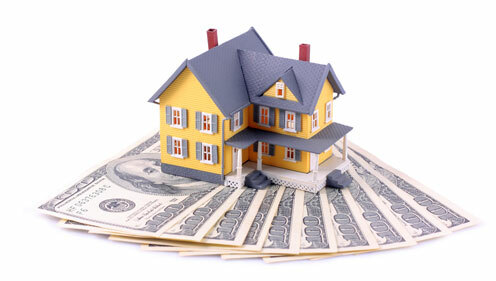 Some just have been in their home awhile and don't see it as a cash cow to cash in on. It's a place where they live. I imagine there will come a time when prices are not so crazy, but in any market, a house will often do well in the city of Toronto. There are very few being built. The demand for them is out there. And this city isn't getting any smaller. Maybe there will be some change in the inventory when the boomers, the Western world's bulkiest demographic, start selling off their houses in larger numbers and start retiring and downsizing. But I don't see that coming any time soon. Even then, there are no guarantees.